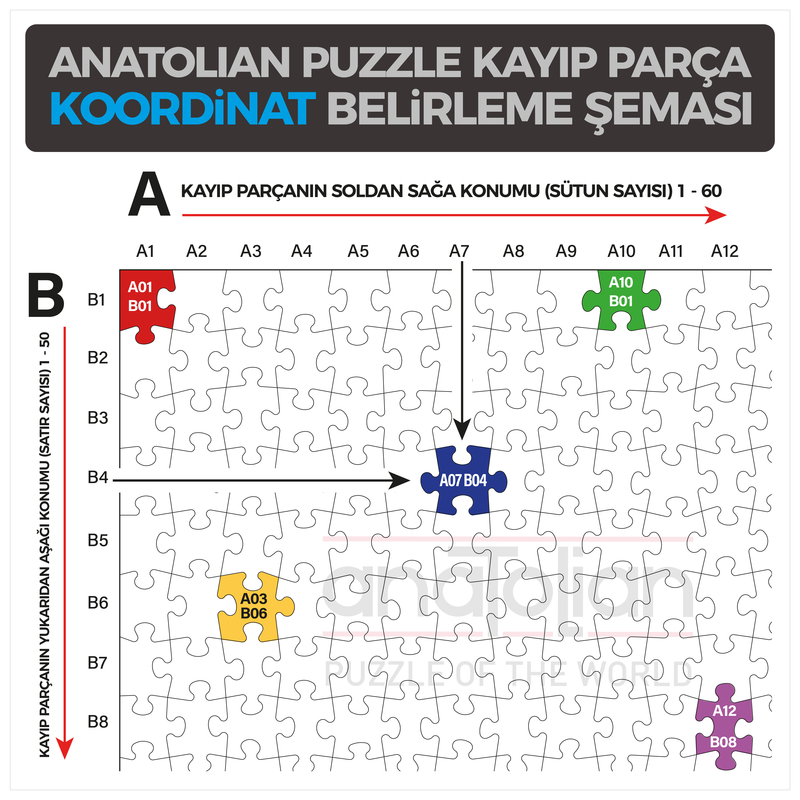 Perre LLC | Anatolian Puzzles makes every effort to ensure that all of our products are without defect in production line. 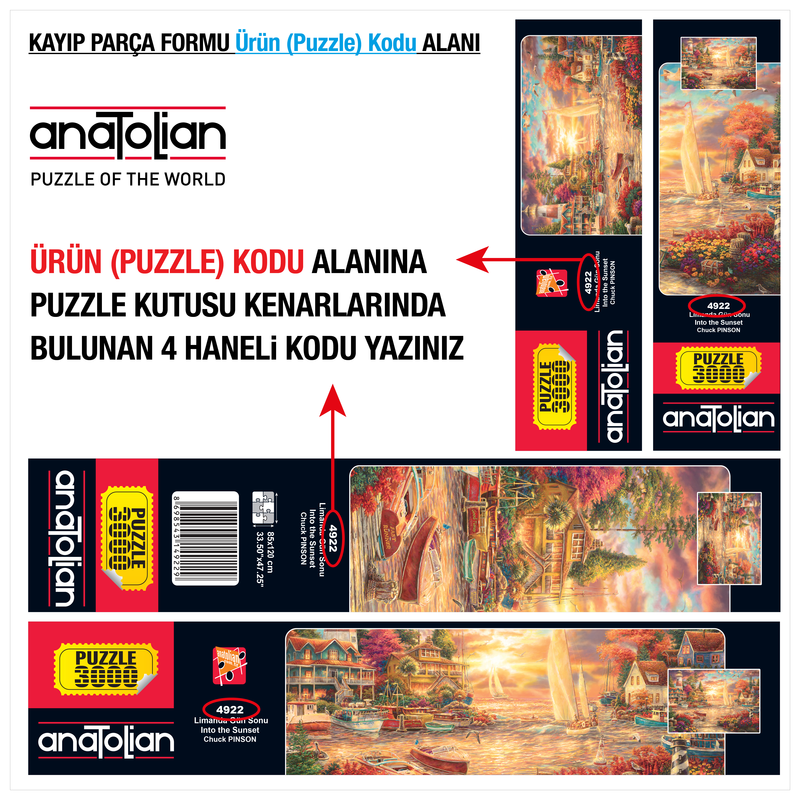 If you find that you have a missing piece/pieces at your jigsaw puzzle, we will replace the pieces of the same image (unless discontinued) without question or qualification. Simply complete the form and we will send you the pieces you indicated in the form free of charge. Please note that there is no guarantee that the pieces that we sent will fit into the original shapes or colors.